Ida Cheinman was interviewed by the Multifamily Executive magazine. 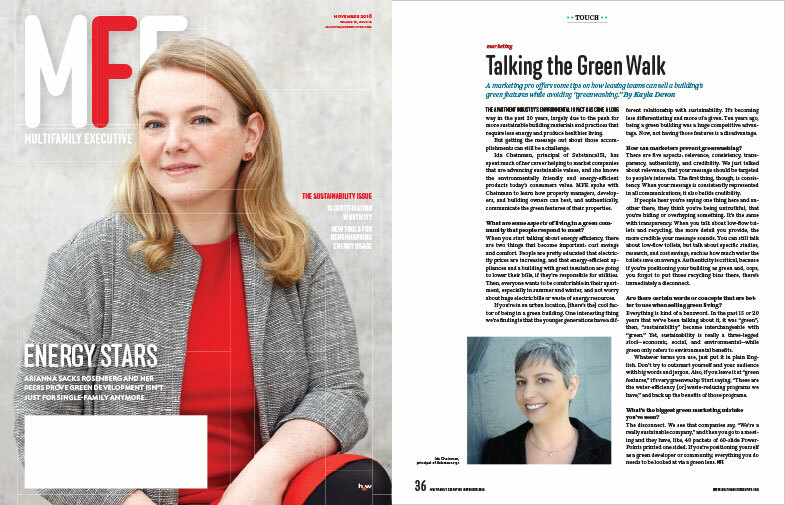 The article “How to Market Green Features Without Greenwashing” reveals the best ways to communicate the benefits of green building features and products in a community without greenwashing. Ida often speaks and writes on the subjects of green marketing and corporate citizenship, leveraging both her branding and marketing communications experience and her passion for advocating sustainable business practices. She has been recognized by Bmore Media as one of Baltimore’s Green Masterminds and named an Eco CEO by Baltimore SmartCEO.